UV Power have a solar and battery package available that includes 6.6kw of quality Suntech solar panels and the Solax hybrid inverter with Triple power batteries. Three components make up this package; The solar panels, inverter, and the batteries. Attached are the brochures of each component. Suntech Hypro solar panels are monocrytelline 300w PERC panels. 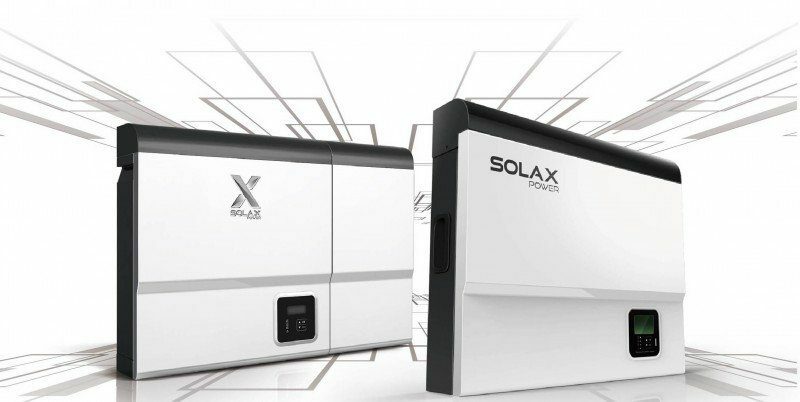 We can install 22 panels onto a Solax X1 Inverter. Suntech panels are well constructed using quality materials, and well proven in Australian conditions. The new Solax Hybrid X1 inverter has the best features on the market due to the new innovative built in blackout protection. 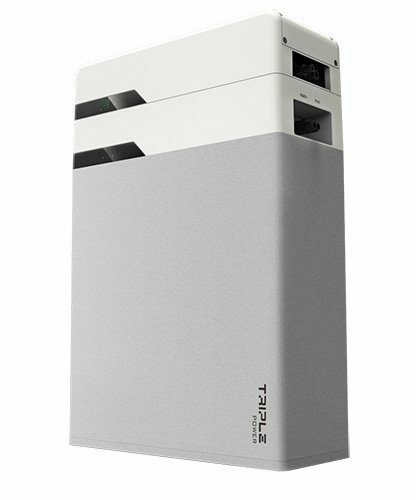 The Hybrid inverter includes a standard inverter with the added Battery manager and backup emergency power supply all in the one unit. 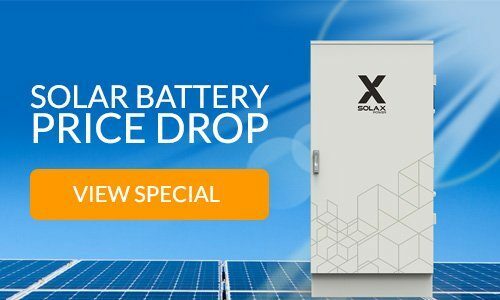 The Solax Triple power batteries come in modules of 6.3 kw. And one Master box. On a single phase you can have the choice of 6.3, 12.6 and 18.9kw connected to one master box. The deposit needs to be paid to UV Power. The additional $3000 grant and $10000 loan amount is paid to UV Power by the Queensland Government. The loan repayment of $10,000 is over 10 years at the approximate amount of just under $20 per week!!. The exact amount will be confirmed by the government. A standard Installation includes the battery on a solid concrete floor close to the inverter in a shaded area.. The existing meterboard must be in good condition and have enough space for the new circuit breakers for both the battery, inverter and analytics meter. ( 5 poles). The meterboard must be within wifi range of the inverter and meterbox. Additional costs may be required for; .Mounting Pad,, meterboard upgrades, Long cable runs, difficult access. HIghset roofs. Hard wiring inverter to the moden or wifi range extender. Inverter Warranty upgrade from 5 years to 10 years. $475. November 19, 2018 /0 Comments/by Blirt! July 2, 2018 /0 Comments/by Blirt! Government interest free solar loans are now available to Queensland households as part of their cost of living support package under the Affordable Energy Plan. More than $300 million of initiatives will make electricity more affordable for residential and business customers. Under the plan, electricity prices for typical household and small business customers will remain below inflation on average over the next 2 years. The first project under the plan has just been released; interest free solar loans. Households who meet certain criteria can apply for an interest-free loan of up to $4,500 to purchase a solar system. The loan must be repaid within 7 years. Using these figures that 12.36 per week. A 6.6kw solar system has the potential to save you approx. $30 per week. Not only is it cash flow positive, its also interest free from the Queensland government. Around 3,500 solar assistance packages are available. These loans will help households who don’t have the available funds to purchase a solar system upfront. As places are limited we recommend contacting UV Power as soon as possible. 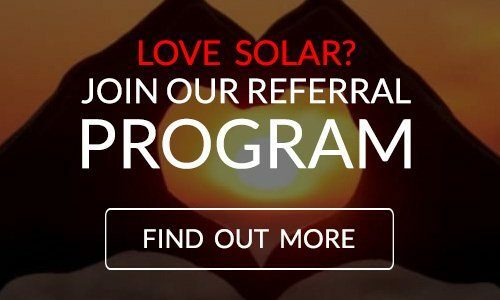 Once the 3500 places are filled you can go onto a waiting list with the hope that approved applicants ahead of you do not proceed with the solar loan. Purchasing a solar system can help to make your electricity more affordable. If you meet the following criteria, get in contact with UV Power and we can get started. the eligible solar PV system must not have been installed before an application for a solar loan is received by the Queensland Rural and Industry Development Authority (QRIDA). Pre register at www.uvpower.com.au/interest-free and we will get you started. pensioners/government assistance recipients – Centrelink payment summary. We will assist you with the government application and liase with the department to ensure the application is processed with 15 days. UV Power will also liase with Energex for the grid application process and ensure your new metering is installed. I’m excited but a little confused about the new economy of crypotcurrencies . In the era of Blockchain and bitcoin, the newest development is peer to peer trading of solar energy that you produce. The energy produced by our rooftop solar system is about to become a tradable commodity. Trails are currently underway and in the near future, your stored energy in batteries and excess solar power can be released into the grid and sold for crypotcurrency units called POWR. A unit of POWR is similar in many ways to bitcoin, but instead you are trading in Kwh and the units of POWR. The platform has been developed by the Australian company Power Ledger which uses the blockchain technology that underpins cryptocurrencies. This will allow households, community organisations and businesses to trade their surplus solar energy with each other at rates that exceed the low feed-in tariffs offered by most utilities. The Australian government has awarded 8 Million dollars to develop trials using the Power Ledger platform to trial the system. Origin have also shown an interest and conducting trials. In the area of speculative crypto currency trading the price of POWR has steadily increased in value. Its one thing to speculate on crypto exchanges, it’s another to deal in real tangible assets like your excess power. This is our focus and the best way to prepare for this is to install a good sized solar system with a battery system. A world-first public trial for 80 homes, involving the trading of water and electricity without support from a major grid, is about to commence in Fremantle, Western Australia. Power Ledger has developed a series of world-leading blockchain energy applications, such as a P2P energy trading application that allows businesses, such as Utilities, to host trading on the Platform. Blockchain technology provides a transparent, auditable and automated market trading and clearing mechanism for the benefit of producers and consumers. The technology enables the sale of surplus renewable energy generated at residential and commercial developments (including multi-unit/multi-tenanted) connected to existing electricity distribution networks, or within micro-grids. Power Ledger puts the power to manage the energy economy into the hands of consumers, while maintaining the value of existing distribution networks. Power Ledger allows for each unit of electricity to be tracked from the point of generation to the point of consumption within the building it is generated, or when sold to other consumers, using the local electricity distribution network. 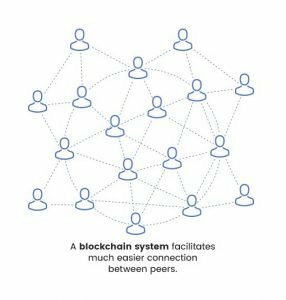 Blockchain technology couples a tracked energy transaction with a financial one, making the process of realising the value of renewable energy investments simple and secure. Power Ledger allows renewable energy asset owners to decide who they want to sell their surplus energy to and at what price. Energy traded across the distribution network is tracked providing a secure revenue stream for DNSPs. Power Ledger’s platform uses the technology to track the generation and consumption of electricity for all trading participants with compliant meters and autonomously settle energy trades on pre-determined terms and conditions. The result is a win/win scenario for consumers with the end result being a higher return on investment for roof top solar. We have already seen a dramatic drop in prices and returns and this new technology will allow those with battery systems the opportunity to Capitalise on their investments. May 17, 2018 /0 Comments/by Blirt! How Long Does it Take to Pay Off Solar? As every home is different and people use energy differently there is no exact answer, so we need to assess every house and its occupants to get a close answer. In most case it’s a educated guestimate but we can give a good indicator whether solar will give you the returns you are looking for. A solar system produces energy only in the daytime, starting gradually in the morning, peaking in the middle of the day and then declining towards the evening. By managing your consumption around this production curve you will maximize your savings. The time of day when you use your energy is a big factor in how much you save. This article will show a few scenarios of saving for a 6kw system for 3 different situations. In most cases you can draw your own conclusions in where you are positioned with these scenarios and give yourself a basic estimation on return of investment. How you manage your energy usage is the number one factor on how much you save. The more energy you can consume when the sun is shining, the more you will save. The aim is to consume as much of your home made energy as possible. Selling back to the grid will be necessary if you are not consuming everything you produce, and feed in tariffs are a lot less than your purchase price. It makes no sense to sell a majority of your power for 10 cents and buy it back at night for 28.6 cents. So good management is vital to maximize your savings. The following 3 scenarios are based on the cost of power being 26c per kwh plus GST, totaling in 28.6 cents per kwh. Cost of the 6kw system installed using a mid price system was $6000. Production amounts are based on averages over the entire year and all consumption figures are based on average usage figures. Production varies according to the seasons, in Summer the system produces more energy than in Winter. These scenarios are based on average figures for offering ideas and suggestions on payback times only. Please talk to us for a more accurate figure based on your home and usage patterns. To gather exact information on your systems production, and your consumption we recommend installing a Smart meter that most good inverter companies manufacturer, or a 3rd party meter and program from Solar Analytics or Power genius. UV Power install these products with your solar system if needed. For the small additional outlay you have complete knowledge of your homes usage and your inverters production. With this data you can gather real time data to assist in managing and maximizing your systems returns. Bob is a large energy user during the day. He has gas hot water, swimming pool , dishwasher, washing machine, and runs a home office which has 2 computers, lighting and a small split system airconditioner. Before solar he consumed 38kwh of energy average per day. A 6kw system was installed on both a East and West facing roof. Total production per day 26kwh. Bob is aware of his power production curve and manages his energy consumption around the amount of energy his solar is producing. In most cases everything produced is consumed on site and very little is sold back to the power grid. 26kwh produced and 32kwh consumed through the day light hours. All solar produced is consumed. Weekdays the office is run and weekends all appliances in the home are used to maximize energy consumption. 26kwh x 28.6 cents = 7.43 per day. X 365 days = $2714 in savings per year. In this scenario bob will pay his system off in 2.21 years resulting in a 45% ROI. This is a best case scenario and is possible in a few circumstances but unlikely for most of us. It gives an indication of what can be achieved for a standard domestic solar system for a high user of energy throughout the day and who is home 365 days of the year. SCENARIO 2. Tom and Betty Jones. Average consumers in a Brisbane neighbourhood. Tom and Betty have a 3 bedroom house with a pool, electric hot water system dishwasher and washing machine. 2 School aged children and Betty works part time 3 days per week. The 6kwh of solar was installed half on a North facing roof and half on the West roof. In this scenario we installed a hot water timer to switch the hot water on at 11am to 2pm. The hot water system consumes 3.6kw of energy. The swimming pool timer was set from 9am to 11am, and 1pm to 4pm. A total of 5 hours per day pool pumping was all that was needed to keep the pool in perfect order. The pool filter and chlorinator consumes 1.5kw of energy. On the days, Betty is home all clothes washing is done, computers on and the home office operating, and energy is consumed gradually over the day. When the kids come home from school there is a small peak of consumption with the fridge opened a lot, TV and computers switched on. The system as designed with panels facing West. This allows for some additional production in the afternoon to accommodate the extra afternoon usage. Solar production amount 27kwh per day. Solar usage amount 15kwh per day. 15kwh x 28.6 cents = $4.29 per day. Both Kevin and Sharron run a small business and work 12 hour days Monday to Friday. On weekends they are home and use the aircon and home theatre all day. They have no pool and only stand by power running on their massive entertainment system. We installed a 6kw system on their Northern roof producing on average 28kwh per day. We switched the hot water onto a timer to run between 11am and 1pm. Monday to Friday daytime usage. 8kwh x 28.6 cents= $2.28. 20kwh x 28.6 cents $4.56. 31% ROI or 3.2 year payback. These 3 scenarios give a broad overview of potential savings from a solar system. I prefer to offer more conservative estimates and are more comfortable with estimates based on 4 years and a 25% ROI, to allow for some margin of error, and real world fluctuations with our busy lifestyles. But I hope this gives an indication of how much you can save with solar. Power prices are increasing, and the price of solar has dropped. The system that this price is based on a is mid quality and priced system, so we can offer cheaper systems to this and also premium quality systems. Every house is slightly different so prices will vary according to your roof layout, the condition of your meterboard and the ease of installation. The only way to gain exact return is to have a UV Power consultant to visit and do an analysis of your home, and offer a quote based on what is best for you. We also offer finance, from as little as $28 per week, leaving you cash flow positive after installing your system. SO the amount you pay on the finance of your system will be less than your would be paying on your power bill. https://uvpower.com.au/wp-content/uploads/2018/01/Piggy-Bank.jpg 1013 1920 Go Solar https://uvpower.com.au/wp-content/uploads/2018/12/UV-Power.png Go Solar2018-01-22 05:37:012018-05-16 15:40:54How Long Does it Take to Pay Off Solar?